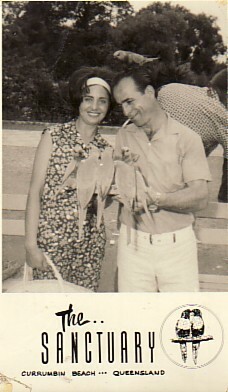 Above: My parents, Katina and Polydoros. 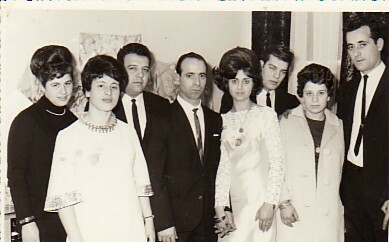 Above Right: At my engagement party, with my fiance, Dimitra Kougiou, family and friends. L-R: Stella, my sister, Athanasia, Alekos, myself and Dimitra, Ioannis Koulioumbis, and Efstratia and Paraschos Tsoulis. 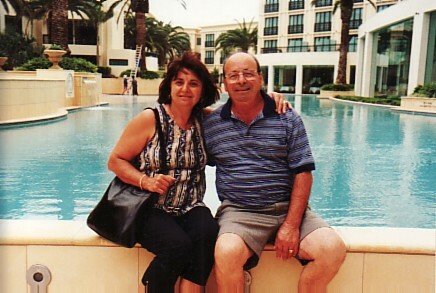 Above: On our honeymoon, with my wife Dimitra. Above Right: With my wife, Dimitra.